Hello and welcome to our 3rd development blog! Not the most exciting blog in terms of content but here's the Q&A we promised. Starting us off with the questions Grizzly/memeGoblin/Chris asks. (1) - How many units do you think will we have on the battlefield at once? (2) - And what variety (regarding different regiments/how many regiments) do you expect for us to see in-game?. A1- We wish to have a large number of players in each player session, this is a very important aspect of the game and be sure we are not taking it lightly. However it's way too early to give solid numbers, but once we have one we will let you know. (We are aiming for 200+ and we will try to make it so.) Appart from the players, you can also excpect wildlife and AIs as well. A2 -There will be a selection of units playable from the period. We've planned to have more than 10 Line infantry regiments per side, this does not include militia, Loyalists, Rangers or Misc, expect alot. In regards to variety at release expect Arty, Line, Lights, Militia & Rifles. 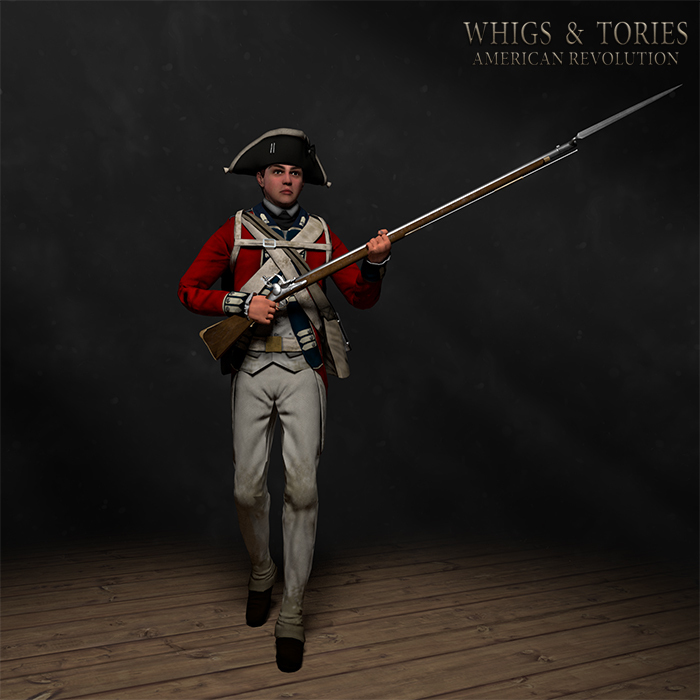 W&T aims to be a Linebattle game focused mainly on the line infantry. (2) -Will there be an alpha + Beta? (3) - Will you be able to sort the text on here out as I can barely see it? [A2] - Yes & Yes, Alpha will be closed and only available through donating. (1) - Will there be admin tools and will there be a moderator type in the game as well? [A1]- We plan to make it very easy for Event hosts/Admins to organise & control players within (and out) of their servers. We dont want to give too much away but yes, expect a clean, easy to use admin panel. (1 - Will the unit/regiment selection be similar to NW? (2) - Will there be "special" features? Example bleeding or "reviving". 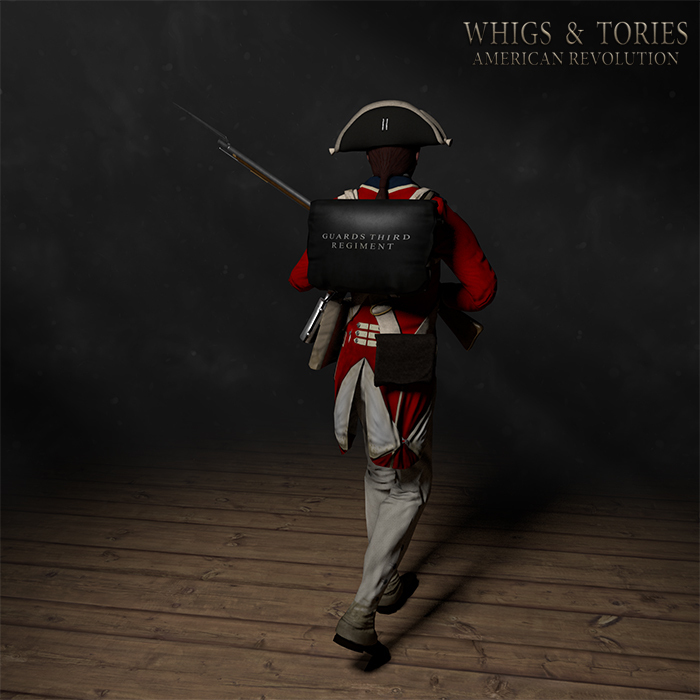 [A1] - NW isn't connected to Whigs and Tories : American Revolution so no. (1)What about miss fire? Will you add it? Because, as you probably know, it was frequent with a musket. [A1] - We will not. (1) - Say there will be muskets which I assume will be in the game and you get in a melee fight will there be any kind of blocking? and if will it be close to the blocking from M&B? [A1] - We will be building a "simple" melee system just to find our basic playercount see how demanding everything is, once we have a steady idea we can build from it, we're like a 4 way melee system but it wont be like NWs / M&Bs as we feel thats just copying. And thats the Q&A sorted, we hope we answered everything fully if not please comment below but keep in mind some details are still Dev Team only. heads up kids! 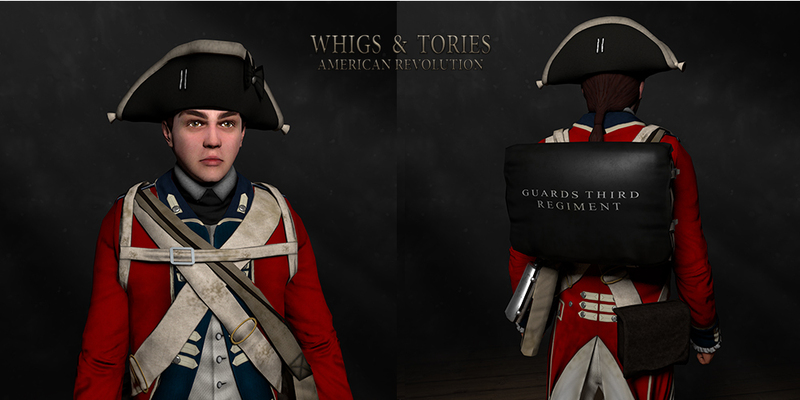 Tricorne, Muskets and some other bits arent finished but i'd say the coat is pretty much there. We've updated the face textures since our last blog Link here. Looks cool, who did that? Answer to Everything: Yes & Yes! so happy I donated to this.